Here's my lifesize Rey ( We call her Lucy when she's not scavenging the sand dunes of Jakku! ) 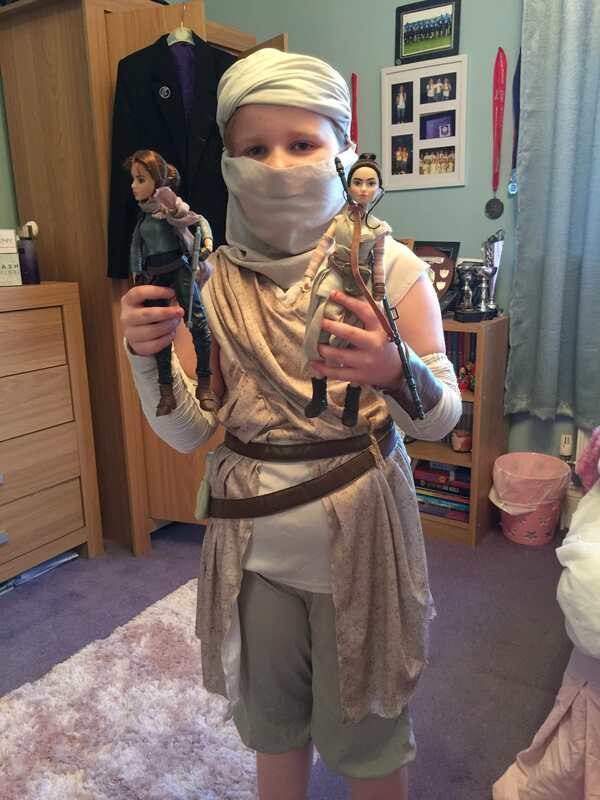 with her 2 new forces of destiny dolls that Uncle Colin (db94) has sent her! I originally asked for just the 1 but the caring, sharing chap that Col is, he bought another 1 out of his own pocket and the kindness of his heart, travelled to the shop for me and posted them out along with a few black series i was after! This why i love this group and Colin, an absolute gent and a legend sir! Such a nice picture. Great to see kids sharing the passion. Russ youve got to be a nice, considerate parent and force it on them! My lastest Hot Toy Purchase arrived yesterday. It is another from the Rogue One range Jyn in Imperial Disguise. Could not find a UK retailer so had to purchase direct from Sideshow stateside. Once again iam most impressed. Love the Eeopie. Was my modern grail for an age! What two are you after mate? These arrived for my daughter today. The new face paint application is fookin amazing! Good luck, I need 7 more, then I'm going to try and complete the POFT2 line. Just amazed at the head sculpture and quality of clothing. Another great figure from Hot Toys.